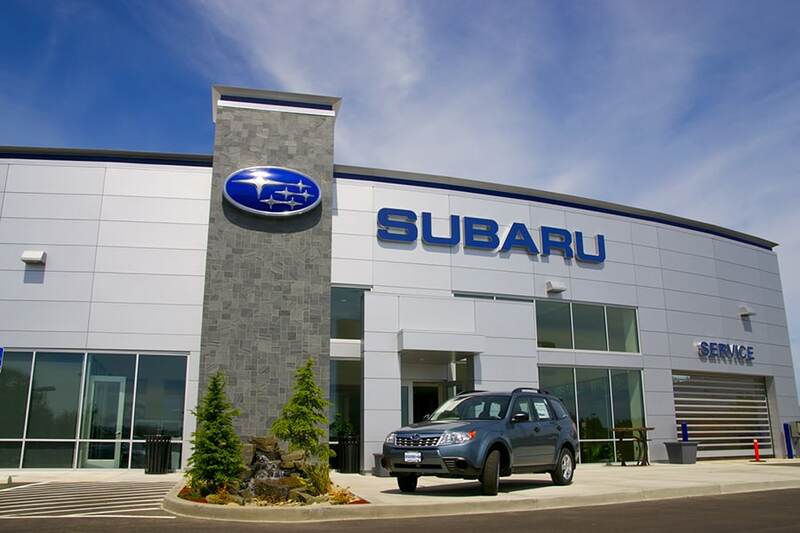 Whether you are visiting Fox Marquette Subaru as a new customer or a loyal friend, you will experience the same world-class care of a knowledgeable and experienced staff serving Marquette, MI, and the surrounding area. We are committed to offering only the most remarkable experiences and strive to exceed our customers' highest expectations. Our website is designed to make shopping for a new or used car in the Upper Peninsula as easy as possible. The customizable filters make shopping for the perfect vehicle combination a breeze. You are encouraged to browse our online inventory, schedule a test drive or review our specials. Feel free to request more information about a specific vehicle or service using our online forms or by calling us at 877.272.6703. We offer a wide selection of new 2017-2018 Subaru cars and SUVs on our lot, some of which include special order models or additions. The experienced sales staff in our showroom are eager to share their knowledge and enthusiasm with you. We are sure that you will find the right vehicle at our dealership. We serve drivers throughout Ishpeming, Negaunee, Munising, Little Lake, MI, and Au Train, MI. If you are looking for a used car in Marquette, MI, we have a large inventory to choose from and can access over 900 quality pre-owned vehicles within the Fox Motors family. From used cars and trucks to SUVs and minivans, our selection has something for every person and lifestyle. We offer great deals on all of our quality pre-owned cars and can help you find the right financing as well. For competitive deals, we are the place to shop in the U.P. for a used car. Set up a test drive by contacting our friendly sales staff online or by calling us at 877.272.6703. Don't see what you want? Click on CarFinder and complete the form, we will gladly inform you when a matching car arrives. With access to over 25 locations, 40 brands and over 900 pre-owned vehicles, nothing is impossible! Interested in Financing or Leasing your Next New Subaru or Used Vehicle? At Fox Marquette Subaru, our experienced finance team is committed to helping our customers with their credit approval needs. Our dealership has access to millions of dollars of credit from a variety of local and national lending sources; as a result we are able to provide you with more options. Whether you have good credit, bad credit or no credit, the finance department at Fox Marquette Subaru is able to provide you with different financing and leasing options in the Marquette, MI, area. Stop by our showroom at 3815 U.S. Highway 41 West, Marquette, MI 49886 and speak to our finance manager or fill out an online finance application. An affordable car loan or lease is within reach at Fox Marquette Subaru. For current Subaru owners, servicing your new or used car or SUV has never been easier. Our professional, factory-trained technicians provide Little Lake, Au Train, MI, Negaunee, Ishpeming and Munising, MI, with quality car repairs and genuine manufacturer parts and accessories. Keep your vehicle running like new for many miles to come! Any time you want to schedule an appointment or order tires, parts or accessories for your Subaru we're here to help. Fox Motors was ranked 72nd in the nation for automotive dealer groups by Automotive News, and 65th in the Nation by Ward's Mega Dealer 100 in 2012. Fox Marquette Subaru thanks our customers for making us such a successful automotive group. We hope to have the opportunity to meet you soon at our dealership in the U.P. Our helpful staff is always available to answer any questions you may have about purchasing a new or used car, auto loans, auto repair or auto parts. Learn more about us and come visit us at 3815 U.S. Highway 41 West, Marquette, MI for unbelievable deals and remarkable service. We look forward to your visit.